Lots of style and movement with this one! 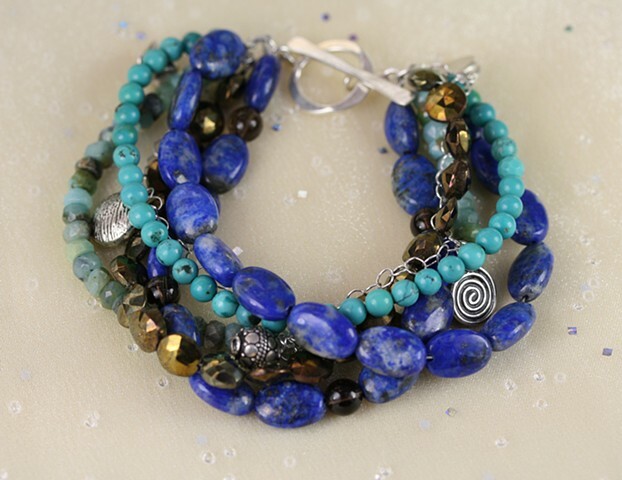 Five strands including warm pyrite discs (mental clarity), lapis (inner balance), and turquoise (protection) with sterling silver chain and charms. fine silver toggle closure. Approx 7 3/4"